Ayurveda is all about the science of holistic healing and it involves a complete plan to achieve the perfect health for all individuals. Ayurvedic treatments given through massages commonly use a combination of pressure, vibration and various motions combined with aromatic oils to give a sense of relief to the entire body. The rejuvenation massage is done by using medicated oil with the hand. Medicated oil is prepared by naturally grown herbs which has a lot of medicinal values. This massage reduces the mental tension by increasing blood circulation. The experience includes 60-minute body massage with herbal oil by an expert masseur. Herbal massage rejuvenates the body by improving vitality, blood circulation and reduces mental tension. After an hour-long massage, feel completely relaxed and detoxified. Massage is followed by a hot bath before the experience ends. The guests can choose a preferred timeslot between 7:00 am till 6:00 pm while booking. The guests may carry a personal towel for use after the bath. Please mention any health-related issue to the masseur before starting the massage. The price for the experience is the same for guests of all ages. Ayurvedic centre, Punnamada Road, Alleppey. 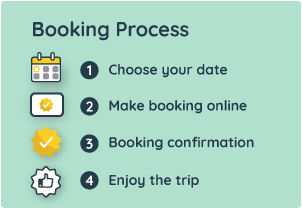 The local person's contact and phone number are shared in the booking voucher which is sent via email.